Top Secret Files: An introductory pack featuring new short stories and interviews about the Brigadier. The Dogs of War: The Brigadier and Group Captain Gilmore team-up to deal with an unusual threat in the London Underground. Have the Yeti returned? Times Squared: The Yeti have invaded New York and are lurking in the subway. The Brigadier stands ready to face them. Night of the Intelligence: A kidnap. A conspiracy. And the return of a primal force from the dawn of the universe. 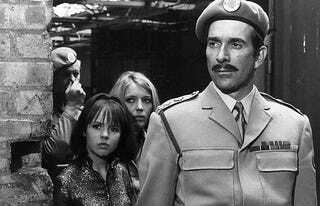 The Brigadier fights to protect not only the UK, but the world itself! Avatars of the Intelligence: Threatened by an old enemy, Lucy must step into her grandfather’s shoes. But in her new hometown, who can she trust? These books will be available for free until tomorrow, so check out Amazon and get these books now while you can! Doctor Who: Lethbridge-Stewart novels for free this weekend on kindle!